Our Signature beer sponsors, Beau's All Natural Brewing Co. (Vankleek Hill, ON) and Great Lakes Brewery (Etobicoke, ON), are creating an all-Ontario beer to be tapped at Terroir 2018! On March 26th, we ventured into the land of Etobicoke to Great Lakes Brewery, where we joined the two breweries to witness the magic in the making! Now, what is beer without hops, malt and yeast? We were joined by VQH Farms, Barn Owl Malt and Escarpment Labs on Brew Day to get a behind the scenes look on how such amazing Ontario-grown product is incorporated into the beer-making process. An Instagram contest was held to allow a lucky member of our beer community a chance to name this locally-inspired brew and to join us on this exciting brew day. The unanimous winner was “Yours To Discover” by James Hamilton, a slogan that as Ontarians, we are familiar with! We thought it was the perfect name to reflect the provincial roots of the brew. For those who are beer nerds (us included), Beau’s All Natural Brewing Co. and Great Lakes Brewery decided on a one-of-a-kind, crushable Ontario Pale Ale for the 12th Annual Terroir Symposium. 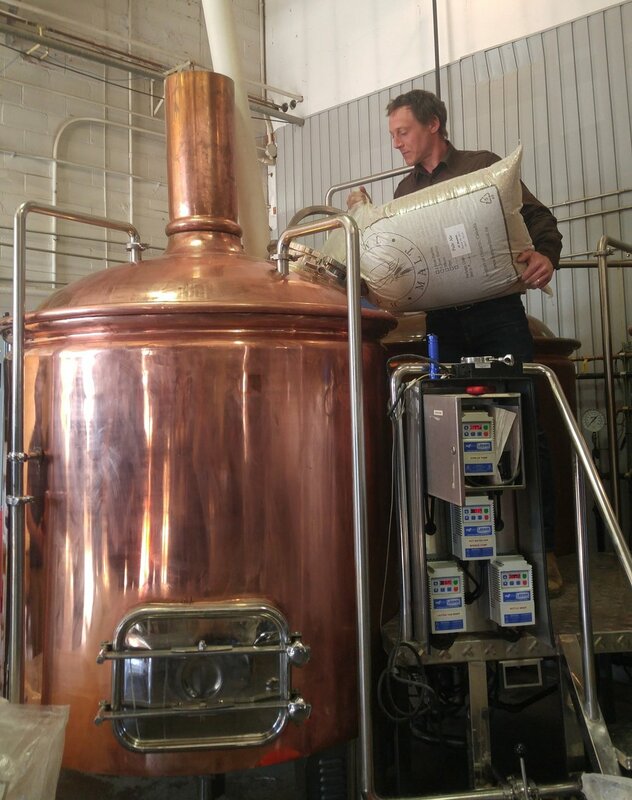 To create the scene, last year, Peter Bulut, Owner & Chief Brewing Officer at Great Lakes Brewery, purchased a 30th birthday present for the brewery – a beautiful copper pilot system that can produce up to 700 litres (or 7 barrels). From this, GLB created their “7 Barrel Series” that allows them to create more unique and experimental beers – just like this one! To start the mashing process, Brew Day participants poured four different grains into the copper mash/lauter tun – Barn Owl Pilsner, Pale Ale, Red Wheat and Munich. VQH Farms Chinook, Cascade and Centennial hops were then measured and added to the wort. There will be a touch of dry-hopping later in the process for good aroma measure! And last but certainly not least, the “Wild Thing” wild Saccharomyces yeast from Escarpment Labs was added for the fermentation process to begin! And now, we wait. Want to get a taste of the final product? You can check it out at the 12th Annual Terroir Symposium being held on Monday, April 23rd at the Art Gallery of Ontario. 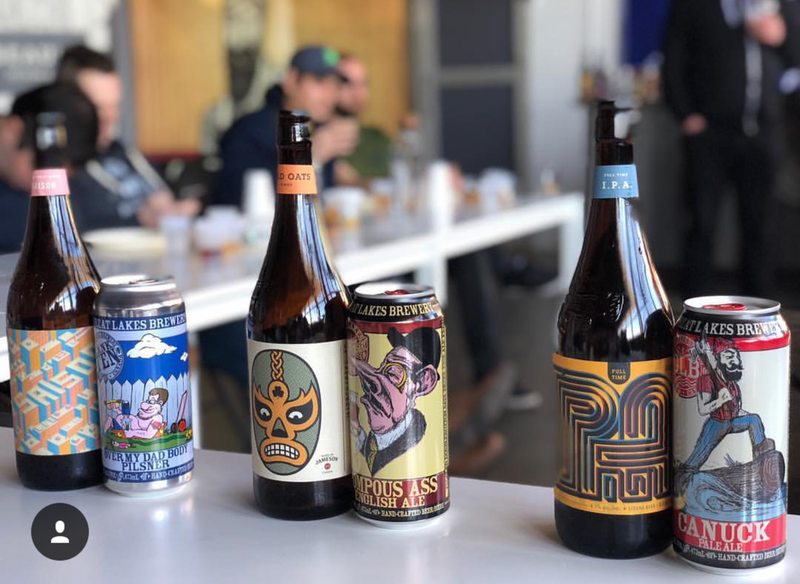 As a bonus, if you've signed up for the Craft Beer Master Class, you'll get a chance to sit in on a locally-driven discussion between Peter Bulut from Great Lakes Brewery, Rob Morra from Beau's All Natural Brewing Co. and Crystal Luxmore from Beer Sisters. In the meantime, stay tuned for a creative logo featuring the “Yours To Discover” name – another collaboration by both breweries’ creative teams.